On a Saturday in early December, we all board a bus, dubbed the "Tannenbaum Express". 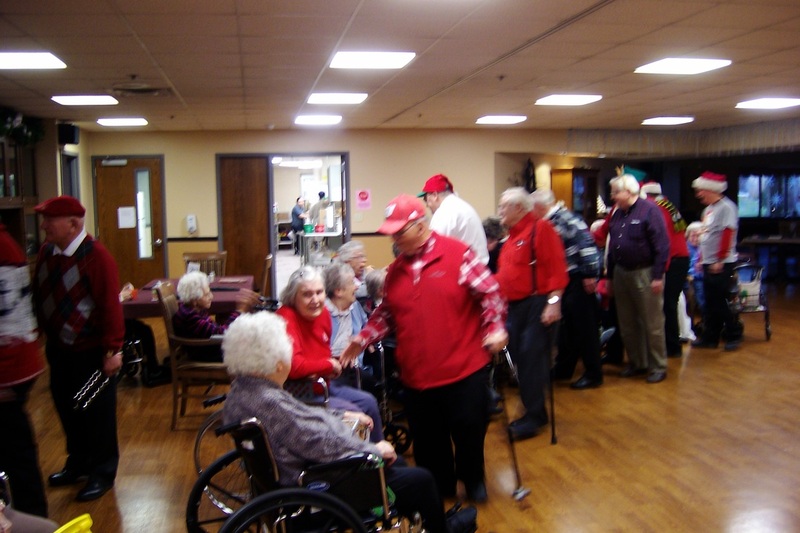 We then traverse the area, singing Christmas carols for audiences at various local nursing homes. Just imagine the looks on the faces of the elderly folks we entertain. Their enjoyment and pleasure makes it that much more fun for us! There is no better way to spread the joy of the season than to bring our harmonies of Christmas to those who otherwise may not be able to enjoy such a show.